Are you looking for a relaxing holiday? Forget beaches and package resorts, and come to the Italian Alps to enjoy wellness in Trentino! From spa days to relaxing walks around the Dolomites, from meditation sessions to the best wellness hotel we’ve ever stayed at, Trentino is really the ideal place for a relaxing weekend! For years, mountains have meant adventure to me. 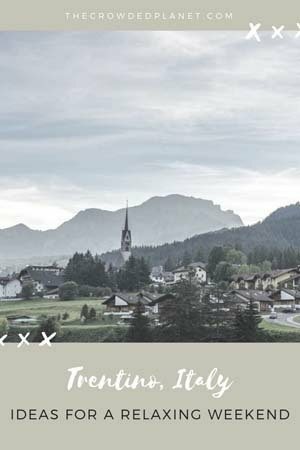 Hiking, rock climbing, mountain biking, skiing, via ferrata – these are normally the activities I have in mind when thinking about places like Trentino, my favourite region in Northern Italy. 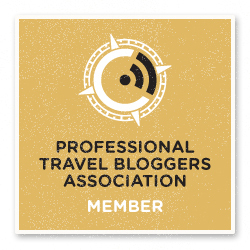 Over the last year, I visited Trentino five times – to go hiking in the Brenta Dolomites (which included the Bocchette Centrali Via Ferrata, the most beautiful hike in the Dolomites), and to hike GardaTrek in all four seasons. 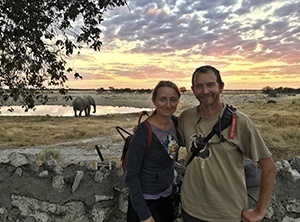 These were all adrenaline-filled escapades, spent away from towns and villages, staying at mountain huts and waking up each day with the sunrise – relaxing experiences as far as the mind is concerned, but totally exhausting for the body. 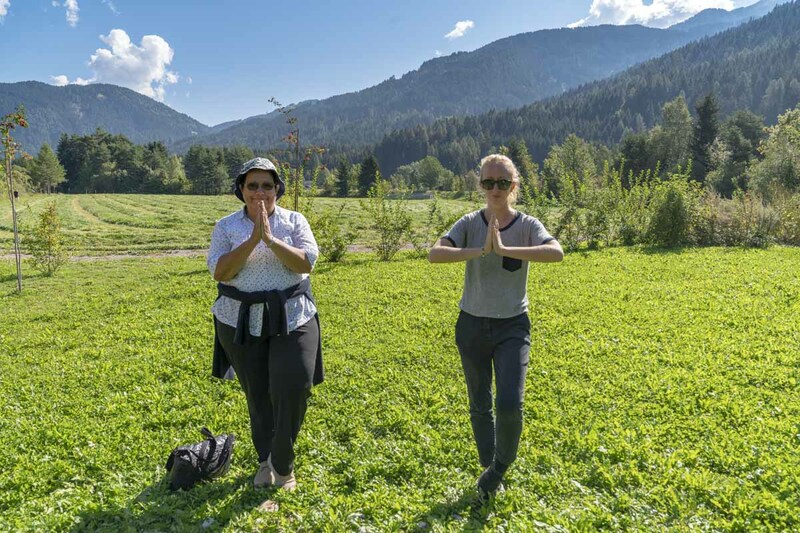 In September, I planned something different – a multigenerational wellness weekend in Trentino, together with my sister and auntie. There would be no high-altitude hiking, no hanging off the side of mountains. 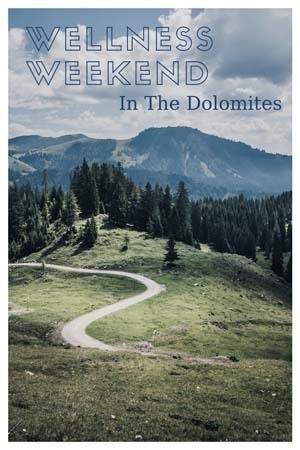 Instead, we would relax, admire beautiful mountain scenery and cute towns, eat healthy, local food and end our Trentino wellness experience with a day at QC Terme Dolomiti, the best spa in the Dolomites. 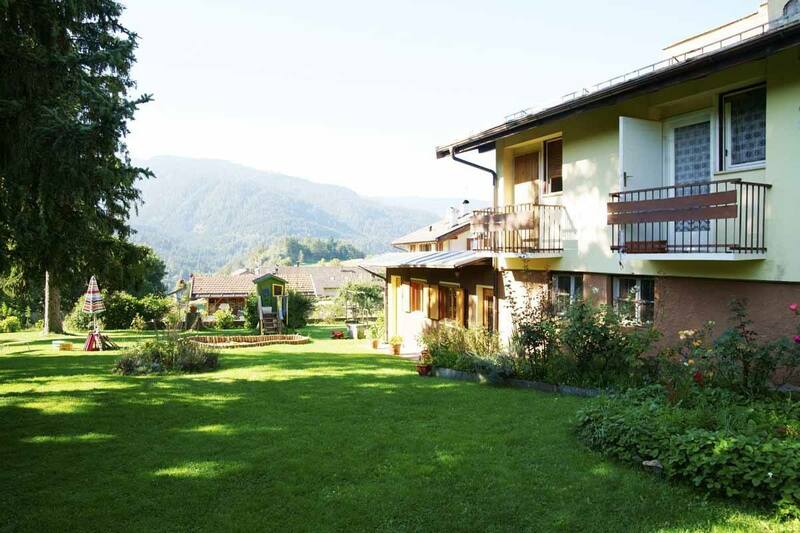 Why Did we Choose Trentino for our Wellness Weekend? Trentino and the Dolomites are one of Italy’s most popular tourist destinations for many reasons – and yes, the magnificent mountain scenery has a lot to do with it. On top of that, in Trentino you won’t find any kind of ‘package tourism’ – the majority of hotels are family run, offering great customer service at reasonable prices, away from the crowds. The region is also one of the best in Italy in terms of ecotourism and care for the environment. 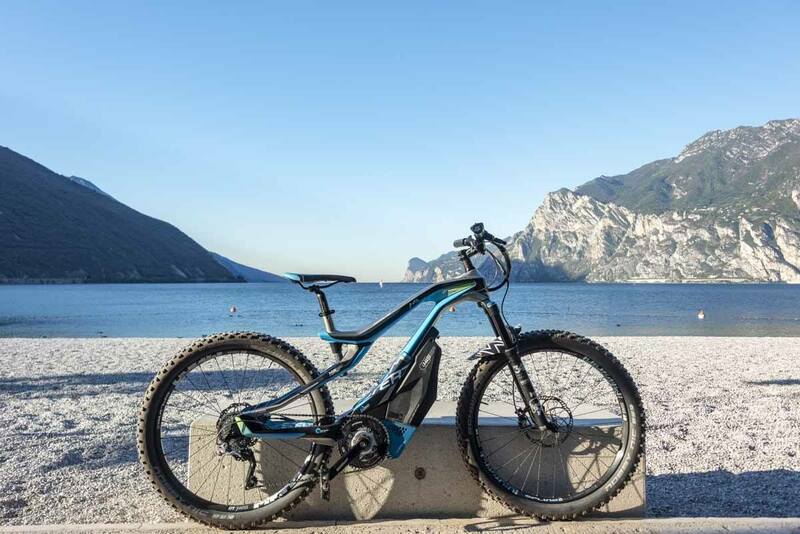 Eco and green initiatives are becoming all the rage elsewhere in the peninsula, but in Trentino they’ve been part of local life for decades. You’ll find farmers markets and lots of small, local producers, a good public transport system even in the remotest valleys, and generally speaking, a sense of ‘pride’ and care for the environment, as well as local culture. We chose the Fiemme and Fassa Valleys in the eastern part of Trentino for our wellness weekend, for two main reasons – first of all, because we wanted our holiday to be 100% green and relaxing, so we chose to stay at Eco Park Hotel Azalea in Cavalese, a family-run green hotel, and also because the two neighbouring valleys have a lot to offer in terms of relaxing activities. 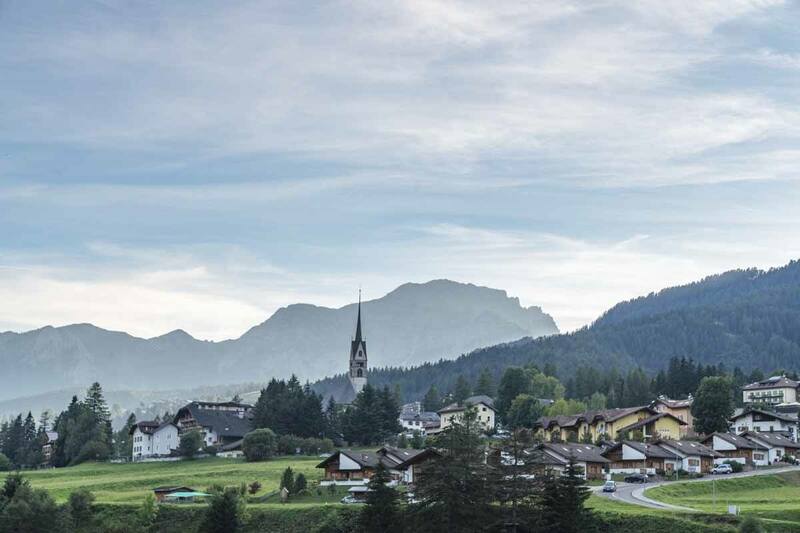 Here are 7 ideas to enjoy wellness in Trentino, between the Fassa and Fiemme Valleys, surrounded by the majestic Dolomites. Hidden away in the centre of Cavalese, lost in a maze of cobbled alleyways just wide enough for my tiny car to go through, you’ll find Eco Park Hotel Azalea, our base for this relaxing weekend in Trentino. Eco, because Azalea is the first hotel in the valley to be certified as eco-friendly by the EU Ecolabel. Park, because it’s surrounded by a stunning garden, a true oasis of peace with colourful deck chairs, tinkling fountains and a playground (complete with slackline!) that even grown-ups won’t be able to resist. Hotel Azalea is truly one of a kind. When owner Manuela took over the hotel from her parents, she used her experience as an architect to oversee an extensive renovation with eco-sustainable choices in mind – using ecological materials, untreated wood and even chemical-free paint, recycling rainwater and adding a heat recovery plant. The focus on health and wellbeing becomes evident as soon as one enters the hotel. The colours and materials used are warm, natural and comforting, inviting guests to sit down and leave their worries outside. There’s a lot of natural light everywhere – in the rooms, opening up to stunning mountain views, and in the common areas, like the beautiful ‘blue sitting room’ overlooking the garden. Meals at Hotel Azalea are also thought with wellbeing in mind. 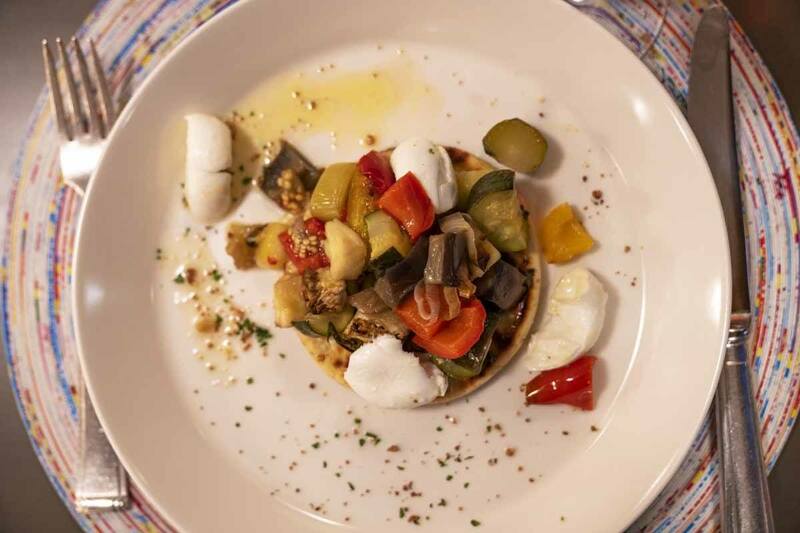 The menu is largely vegetarian and vegan, with traditional mountain dishes reinterpreted in a plant-based manner – some examples are ‘vegetable strudel’, a healthy and savoury version of the famous dessert, and spatzle (small dumplings) served as a main dish with radicchio and gorgonzola. If you’re a meat lover, fear not – there are also a few meat-based dishes on offer each night! This breakfast room is perfect to start the day! Breakfast is also worth a mention, with an extensive buffet full of sweet and savoury specialties, including different types of muesli with nuts and seeds, local apple juice and several types of dairy-free milk. The small touches are what makes Azalea amazing – there’s always a jug filled with spring water on your bedside table, a small pillow with dried flowers to add natural scents to the room, and freshly-baked biscuits. Every day at 4 pm, ‘merenda’ is served – a small buffet full of healthy, sweet treats like vegan pancakes or cakes with homemade jam, accompanied by fresh juice. Guests staying at Eco Park Hotel Azalea also have the opportunity to enjoy wellbeing-focused activities like yoga and meditation, on offer most days with no extra charge! Every morning, we started the day with a half-hour yoga session on the terrace overlooking the garden, with the sun rising just in front of us. The session was thought with beginners in mind, and it was a great way to start the day – after just three days, we could already see ourselves improving, and vowed to keep practicing after we returned home. Another activity we loved was guided meditation with Tibetan bells. We spent an hour lying down, trying to ‘stop’ and listen to nothing but our bodies, the sounds of the Tibetan bells, and the words of our instructor. The hour-long session breezed past, and we felt happy and refreshed. Ayurvedic and shiatsu massages are also on offer at Eco Park Hotel Azalea, for an extra charge. Next time we’ll definitely try one! Eco Park Hotel Azalea also has a great wellness centre with sauna, Turkish bath and Kneipp baths. 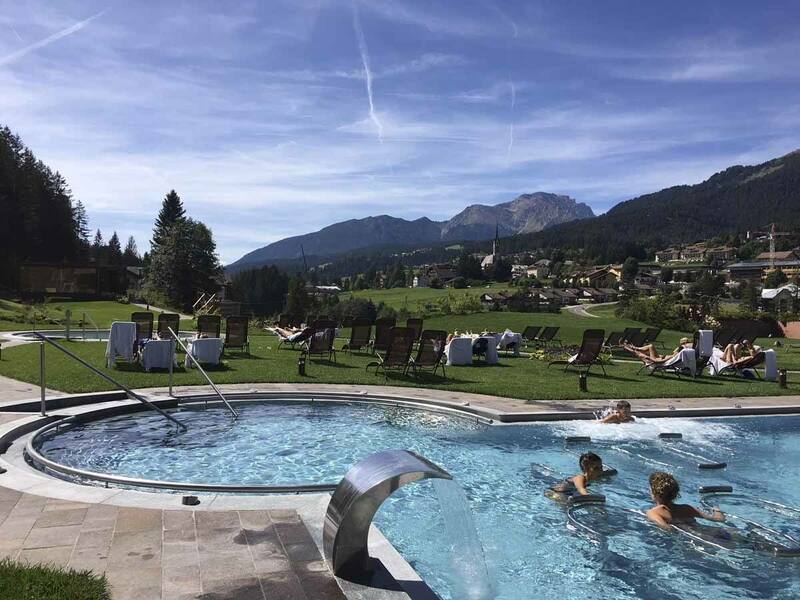 It’s the ideal place to spend an hour or so relaxing after a day spent out in nature – but if you want to dedicate the entire day to wellbeing, we recommend heading to QC Terme Dolomiti, the best spa in the whole of Trentino! 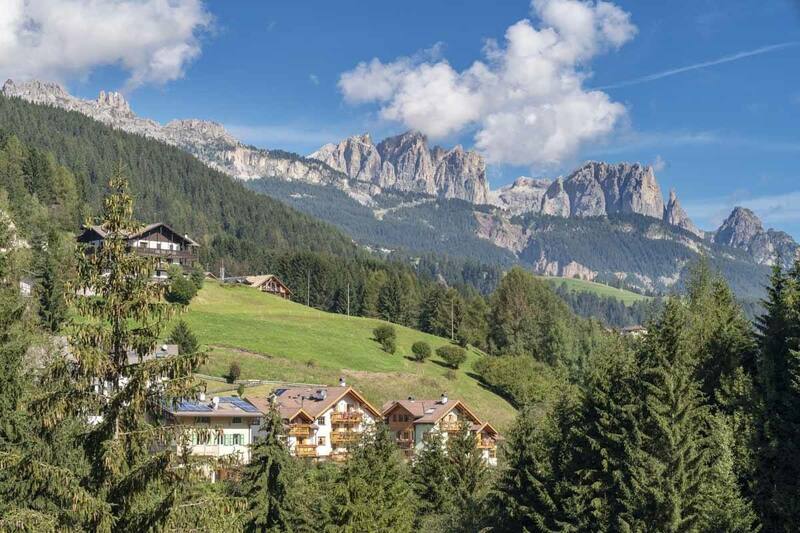 QC Terme Dolomiti is located in the village of Pozza di Fassa, in an absolutely breathtaking valley surrounded by the stark, jagged peaks of the Dolomites. The entrance ticket may sounds steep at €52 per day, but it includes unlimited access to all indoor and outdoor baths and saunas from 10 am to 10 pm, a bathrobe and slippers, and a free aperitivo buffet. Best spa in the Dolomites! We started out with a series of indoor pools, saunas and steam baths, before heading to the large outdoor pool with water jets, with beautiful views over the Dolomites and the valley. There are also two panoramic saunas and small outdoor pools, where one can sit and enjoy the views at will. But this is not all – there is also a sauna with a cinema screening short mountain films, another sauna scented with natural oils, and a series of relaxation rooms, some of which were so relaxing that we all fell asleep! 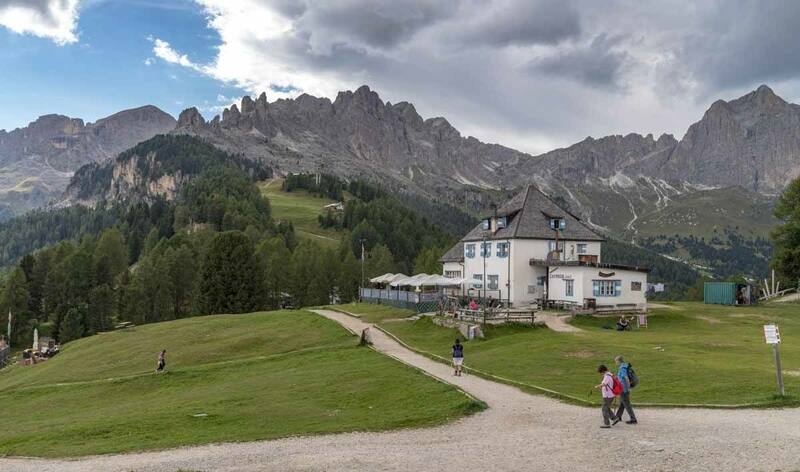 We spent the whole day at QC Terme Dolomiti, and when it was time to leave at 6 pm, we all wished we could have stayed longer – but we had dinner waiting for us at Azalea! 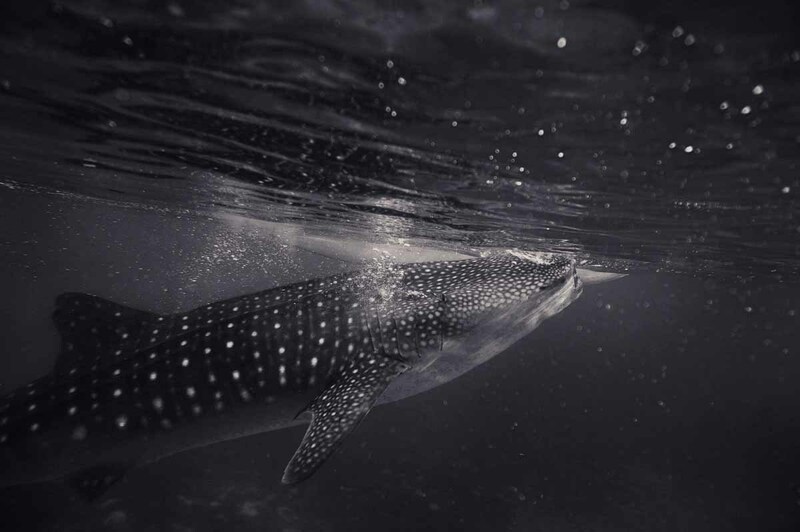 Besides organising yoga, meditation sessions, and a whole entire entertainment programme for children and families, Eco Park Hotel Azalea also arranges guided trips in the surrounding area. During our stay, we joined a guided ‘sensory’ walk to the ‘Zen Path’ in nearby Ziano di Fiemme. The path runs alongside the Avisio stream, and it’s mostly flat – making it ideal for my auntie, who is not really a fan of hiking. It was created by a local architect as a way to showcase the ecosystem, while promoting wellbeing. In fact, in addition to areas where it’s possible to observe birds, there are also four ‘rest areas’ dedicated to the four elements, with information about local plants and enough space to do some exercise. It’s worth doing the walk with a guide – we went with Cornelia, the yoga teacher from Azalea, who led some gentle exercises at each stop, while discussing the four elements in relation to nature and the body. The best part of the walk was the ‘natural’ Kneipp path located in the forest, where we were all invited to walk barefoot on grass, bark, pebbles, sand and other kinds of materials, ending with a stretch where we walked right into the chilly stream. It was a gentle and unusual way to enjoy nature without having to work out too hard, ideal for families and multigenerational groups. No one can deny the charm of high mountains. But guess what – you don’t need to hike to get to the top! 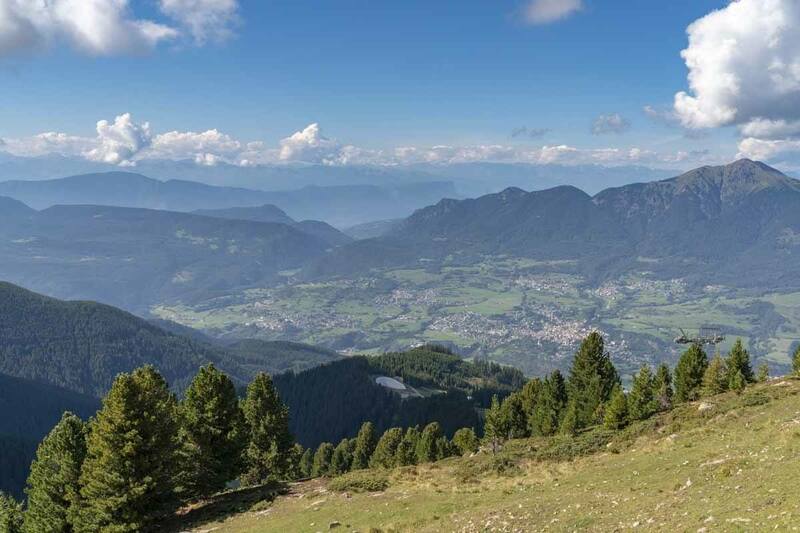 Trentino is full of cable cars and chairlifts, open for skiers in winter, which can also be used in summer to access mountain huts and panoramic spots with absolutely no effort whatsoever. All guests staying at Eco Park Hotel Azalea for a minimum of two night get the Trentino Guest Card, which can be used to access public transport, some cable cars, museums and castles for free. The Cermis cable car can be boarded for free with the Trentino Guest Card, from a station not far from the centre of Cavalese. About twenty minutes, two cable cars and one chairlift later you’ll find yourself close to the peak of Paion del Cermis, where you can enjoy a stunning 360° view all over the surrounding mountains, enjoy something to eat at a mountain hut… or start a hike or via ferrata, if that’s what you’re after. Another great cable car is Catinaccio, which can be boarded in Vigo di Fassa and takes only 10 minutes to get to Ciampedie, at almost 2000 meters, where you can have lunch and relax on deck chairs with this view. We visited Trentino in early September, and we were lucky to be visiting at the same time at two cool ‘end of summer’ celebrations both in the Fassa and Fiemme valley! 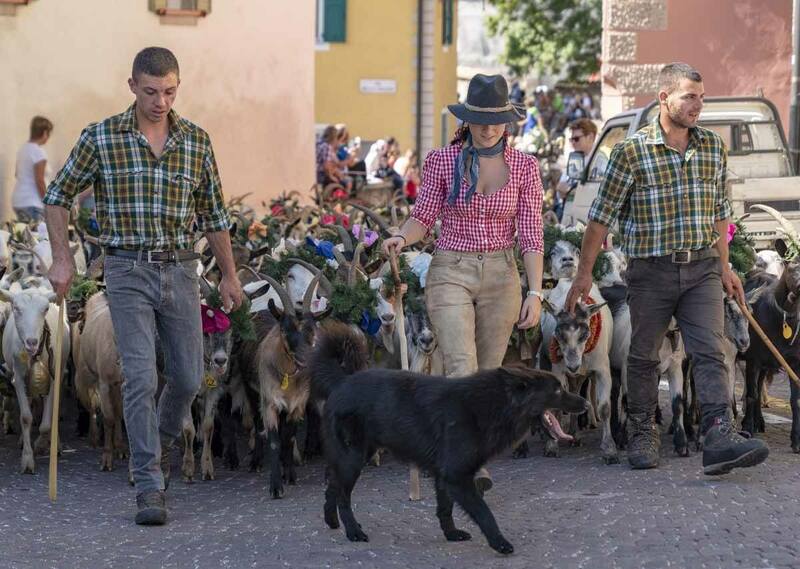 In Cavalese, we were able to see the ‘Desmontegada de Caore’, the day when goats return to the lower pastures after a summer spent in the high mountains, and parade triumphantly across town, decorated with flowers. 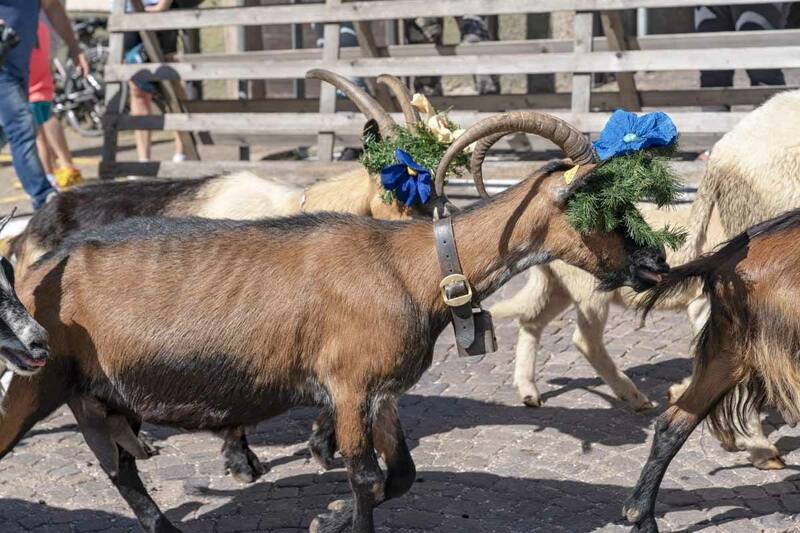 Besides the main ‘goat parade’, all through the day it is also possible to see locals in traditional clothing playing music, demonstrating ancient crafts and serving mountain delicacies. 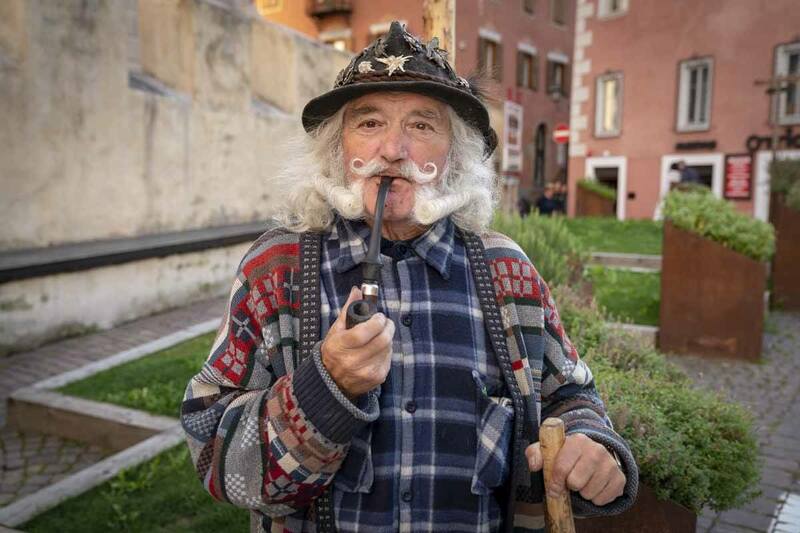 On the same weekend in Canazei, the main town of the Fassa Valley, the ‘Gran Festa da d’Istà’ took place, a four-day celebration of Ladin language and culture, one of the 12 minority languages found throughout Italy. There’s live music, parades of folklore groups from all the Ladin-speaking valleys, and naturally lots of beer and tasty food! How can we talk about Trentino without mentioning its delicious food? 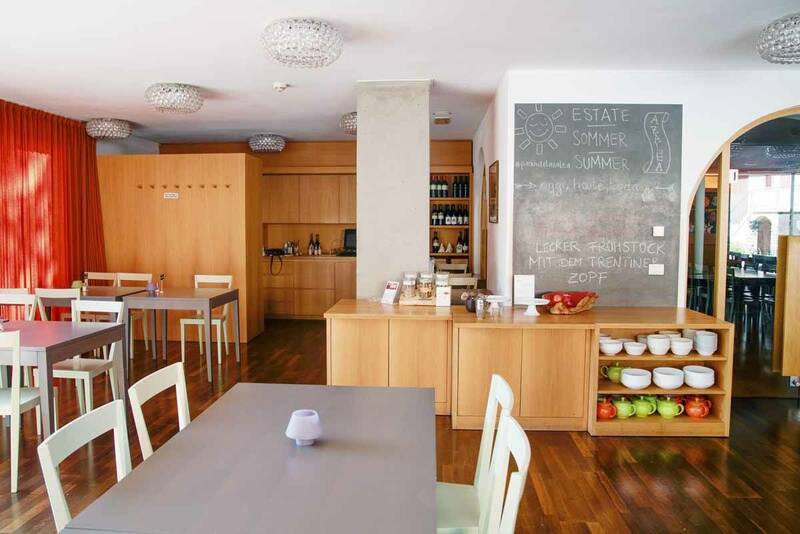 You won’t have to search much to find good products – local shops are easy to find in all towns, and if you’re staying at Hotel Azalea, you’ll have the chance to eat healthy local specialties every day! We also recommend visiting the Maso dello Speck near Cavalese, where you can sample speck (a local kind of cured, smoked ham), together with other cured meat specialties, sausages, wurstel and carne salada, cured beef which can be had raw, carpaccio-style, or cooked and served with beans. Apples in Trentino are also delicious, and you’ll find locally-made apple juice anywhere you go. You can’t miss trying apple strudel – we had a really delicious one at Cose Buone da Paolo bakery in Cavalese. The Ciampedie mountain hut where we had a wonderful lunch! 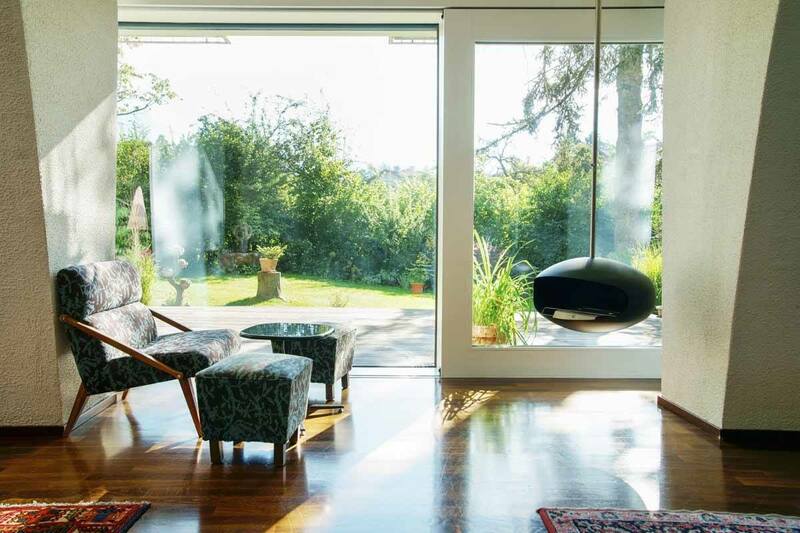 These are just some ideas to enjoy wellness in Trentino – but to be honest, in a place as beautiful as the Dolomites, you just need to look out the window to feel relaxed and at peace. We would like to thank Manuela from Eco Park Hotel Azalea for having welcomed us at her beautiful hotel, and the Fassa Valley Tourism Board for their kind help and assistance!